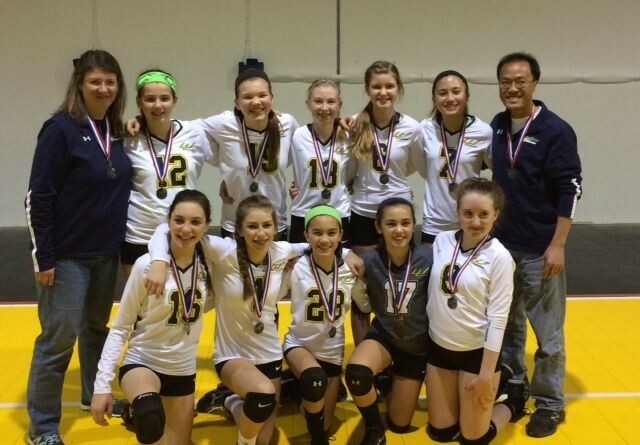 The Western Loudoun Volleyball Club U12/13 girls team landed a second place finish at the Frederick Volleyball Club Girls Tournament on Sunday. Coach Hai Nguyen and Coach Jennifer Heffron led the 10-member Wildcats, sixth and seventh graders from Purcellville, Lovettsville and Leesburg. In their second tournament this year, the Wildcats lost to Arlington in the finals. WLVBC started eight years ago and now serves more than 140 families from Purcellville, Lovettsville, Middleburg, Leesburg and parts of Clarke County. The WLVBC is also active by volunteering in the local community to support Interfaith Relief Services and Loudoun County Animal Services. For more information, go to wlvbc.org.